A few days ago, a pre-print of a research paper to be published in the Astrophysical Journal appeared online. 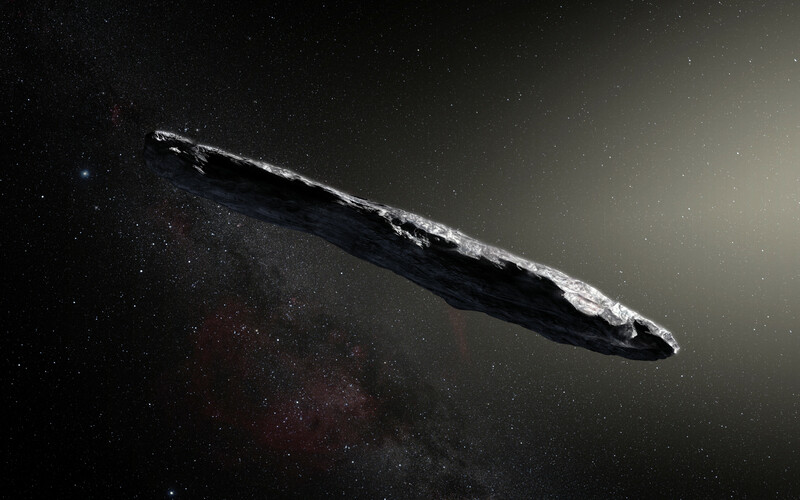 The paper concerns the fascinating object known as ‘Oumuamua, which was found in late in 2017 and is the first object of interstellar origin observed in our Solar System. Scientists still aren’t sure what the oddly cigar-shaped object is, and they were further intrigued when they observed it accelerating away from the Sun. An analysis based upon multiple telescopes aimed at the object late last year found that ‘Oumuamua accelerated away from our Sun significantly faster than could be explained by gravity alone. Unfortunately, scientists had no great explanations for why this apparent acceleration occurred. The new paper investigates the possibility of solar radiation pressure, or the momentum transfer of photons striking an object. This radiation pressure is the driving idea behind “solar sails” that may one day power spacecraft around our Solar System or beyond.